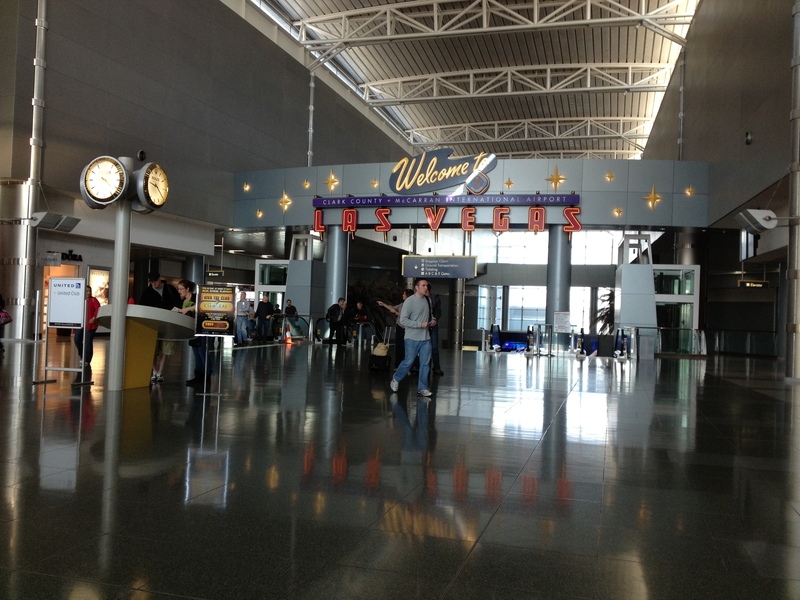 The day began with waking up Sunday at 4am to catch a 4 ½ hour flight to Las Vegas that departed at 9am. Expecting Pearson to be busy I was surprised to see little traffic at the airport. I went through Nexus, picked up a Latte at Starbucks and relaxed in the lounge to read my new book for a couple of hours. 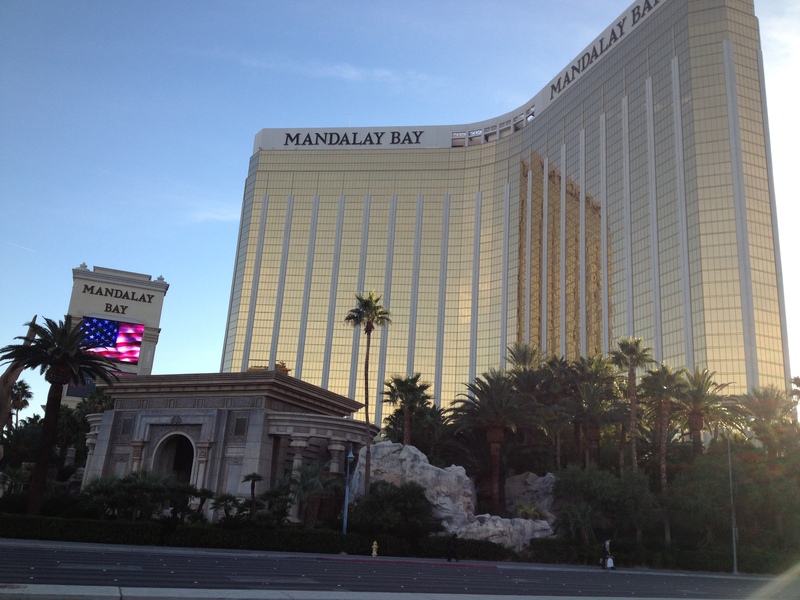 Once in Vegas I picked up my luggage, got in a Taxi and was at the Mandalay Bay in no time. A quick shower and emails to friends that were attending and off to the welcome party. While relaxing at the welcome event I reviewed my conference schedule for the events to make sure I had chosen the sessions I want to focus on. Each day would start early around 8:30am and end at 5:30-6:00pm. For me, I wanted to focus on Mobility, Social and 365. Specifically, Mobility tools, support and direction especially Apple (iPlatforms) support, Social roadmap for Yammer integration, development tools and infrastructure and the 365 service offering and capabilities. The Key Note – The opening video was great. Social, Cloud and Mobile were the key topics. They view social as connect and empower – help people achieve. The Yammer integration Roadmap (think basic to deep integration further out, engineers are thinking about ways to integrate), Sharing the SharePoint way highlighting My Sites capabilities and RSS feeds, the 365 environment (Cloud) they have built is impressive (fast and resilient – the platform is optimized all-round) and Mobility support is greatly improved (Clean and usable). Note there were two engineering teams, one for 365 and other for on premise. The iPlatforms (Pad, Phone) are on the Microsoft roadmap (Finally) and look early next year for more announcements around this. Also look for deeper integration between Yammer and Microsoft products (Office, Skype, SharePoint, Lync). What’s New in Search for SharePoint 2013 – search enhancements focused on the preview pane, making items more visible through grouping (people, sites, documents) instead of displaying in one big result. The visual aspect of this is powerful because you can now identify things quicker. The synonym engine is improved and will make suggestions (e.g. search on PPT and also get Deck) Also, to edit the results page there is a new wizard that helps with this, no more editing of XML to customize results (Finally!). Designing Your SharePoint Server 2013 Enterprise Deployment – This session was fairly basic and reinforced so basic thoughts of gathering specific functional and capability requirements and then mapping that to features and services within SharePoint. Making use of the Site Templates and their features and the service applications. Then designing availability into the design thinking RTO and RPO. Customizing Search Experiences in SharePoint 2013 – The results page there is a new wizard that helps with this, no more editing of XML to customize results. The preview pane and new Meta Data features as well (if properties are blank the crawler will look inside to document to find properties) was demonstrated as well. Overview of SharePoint Mobile and the New SharePoint apps – The mobile interface was demo’d on the iPhone and Windows phone. To drive home the difference between 2010 and 2013 they demo’d both and you could see how awful the 2010 sites were compared to today with 2013 – much cleaner. Claims Based Authentication – Migrating to the new SharePoint 2013 Identity Model – In this session and upgrade was demonstrated taking a 2010 site from NTLM to 2013 Claims, 2010 Claims to 2013 Claims. No surprises here. Designing and Building Your Yammer Community – Interbrew provided an overview of their experience in planning and deploying social. They focused on communication plans to facilitate awareness, purpose and adoption. Moderation to help the communities grow and thrive. Also that their communities were aligned with their brands and design to help people support their brands as best possible. Key message, foster a culture of sharing and helping and social will thrive on its own if you let it. The attendee party was the highlight of the event, Bon Jovi performed some of his hits (great acoustic version of Living on a Prayer) and some covers at the Mandalay Bay Beach. He played for 90 minutes straight and did a great job of getting techie nerds into the moment – Microsoft did a great job of this event for sure. Once Bon Jovi wrapped up, the fireworks show started accompanied by AD/DC. When done I was in bed by 10pm. User Profile Synchronization Best Practices in SharePoint Server 2013 – A very deep presentation and demo involving powershell. Spencer always delivers on his sessions. Key messages are; populate AD with the information required to enable social, have an operation plan and process to keep AD up to date (Critical). Don’t under estimate the impact UPS will have on your operational process and policy – Data ownership and Quality are the two main concerns and it’s a political endeavor not a technical one. Bringing SharePoint to the Desktop: Building Windows 8 Metro Style Apps with SharePoint Server 2013 – During the session the covered developing Windows Metro style applications for Windows 8 desktops and the Surface. After evaluating the Surface look at how Apple applications look and feel. Don’t force people to use a stylus. Best Practices for using SharePoint, Mobile and Media to Connect Knowledge and Communities within your Organization – Microsoft demo’d and application they had developed that contained Videos. No surprises, planning, design and modelling are key as well as keeping it simple. Create communities that align well with your objectives. Such as product communications, profession communities and assign moderators to foster it. Deep Dive to Plan and Prepare for Your Users to Interact with SharePoint from their Mobile Devices – During this session new features within Visual Studio 2012 were demo’d to highlight wizards that create Mobile ready interfaces for applications. They used Northwind as the database for the Demo. Using the Mobile App Wizard in Visual Studio they created a Mobile application and demo’d it using a mobile emulator. After the sessions I went back to the room for a shower and met up with friends and went to the Botero at the Wynn and then off to the Tryst for a few drinks and to see Pamela Anderson and finally end the night a Surrender. Deep Dive of the Social Architecture in SharePoint 2013 – My Sites and Yammer are key to the Social architecture. My Sites have a lot of functionality similar to Facebook and Yammer is being integrated to foster discussions and create communities to enable people to find, connect and help each other. Download the sessions on Social to get a sense of the integration and possibilities. Practical Deployment Aspects of Business Intelligence – The most powerful demonstration is the new visual capabilities in Excel. Many visual features have been added to help surface information and communicate facts better. Again, download the sessions and watch to see the power of the tools. After the sessions I relaxed and had dinner. Did some reading, checked email, did my Yoga and then went to bed at 9:00pm to get back in th EST time zone. Friday I just relaxed, did my Yoga in the morning, met up with friends in the afternoon and walked the strip. I wrote this while having lunch at the Burger Bar before going out. I recommend the place to those who want good food that’s filling and not over priced – The staff are friendly as well. After four long days of sessions I was exhausted but learned alot. By the end of the night I was ready to go to New Jersey (probably my last trip to NJ for along time), I had packed and went to bed early to help work myself back into the Eastern time zone. Saturday morning I had breakfast, checked out and got to the airport early to do some reading and relax. On my way to the Airport I thought about what I could write about in this blog. How I could sum up the weeks experiences. This would take some time so I found a Starbucks and ordered a Grande Latte and began to write and before I knew it my plane was here on time. Once I boarded and settled in and continued writing and watch a movie called The Decendents – great movie. Before I knew it I was in New Jersey checking into the Marriott and having a few drafts at the bar and then off to bed.